$40M HOUSE - SOLD IN JUNE 2017! SOLD in June 2017 on Billionaire's Row. Last listed for $40M, developer Bill Campbell of Marble Management purchased the house for a mere $7.8 million in 2009, according to the Wall Street Journal. Four years in the making, the approximately 11,400-square-foot limestone home is brand spanking new from top to bottom. However, some purists might cringe, as a 19th century clapboard house had to be demolished in order to make way for the contemporary construction. 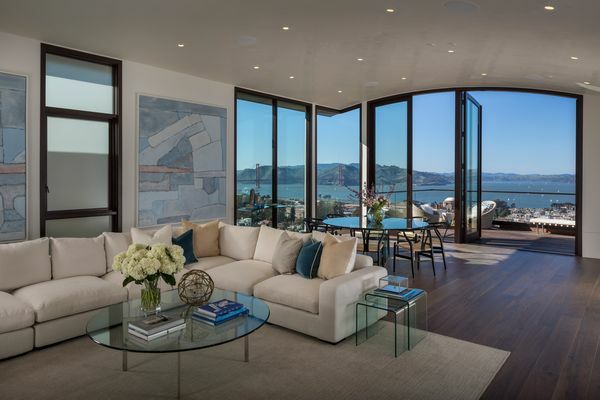 What does $40 million buy you in the city’s most expensive hood? Two wine rooms with blackened steel doors, outdoor kitchen on the top-floor terrace, elevator, home theater, and gym. Architect Tom Taylor of Taylor Lombardo is the mind behind the home, with interior architecture care of Handel Architects, most recently known for helming The Pacific and Rowan.